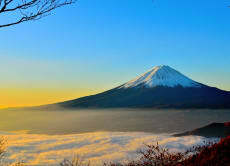 Hi We are offering various kinds of bus tours through out Japan. We are cooperating with Voyagin and developed some activities mainly around Tokyo,Kyoto and Osaka. Japan has different characters in each season and our mission is to have you discover the beauty of Japan through our tours. We are looking forward to seeing you in the tours. Enjoy National Diet Tour and Buffet Lunch, Tokyo! Enjoy Japanese Taikomochi Show and Cuisine, Tokyo! Enjoy Private Cruise over Five Rivers in Tokyo! Enjoy Nihonbashi River and Kanda River Cruise in Tokyo! Enjoy River Cruise, Garden and Sushi in Tokyo! Profitez de la vue du Mont Fuji depuis un Helicoptère !